Matthew Soeberg is a postdoctoral research fellow working on Part I of the ADRI’s Cancer Institute NSW Translational Program Grant. 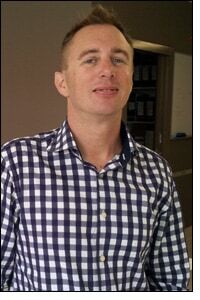 He is employed through University of Sydney’s Cancer Epidemiology and Services Research (CESR) group and is based at the Cancer Institute of New South Wales. He will help to develop epidemiological research projects using mesothelioma cancer registry and other data. Matthew completed his PhD at the University of Otago, Wellington in July 2012. Matthew’s PhD examined trends and inequalities in cancer survival in New Zealand, 1991-2004, using relative survival and excess mortality rate modeling with linked Census, cancer registry and mortality data. Matthew has a strong interest in maximising the relevance of epidemiological research to policy, practice and improved patient outcomes.